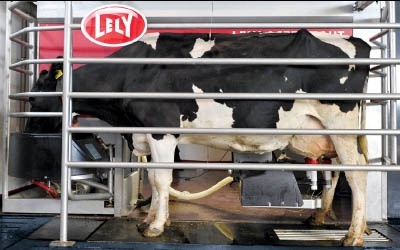 Did you know the Lely automatic milking system provides data reports such as Milkings/Hour? The Milkings/Hour report provides great insight in how efficient a barn is on a daily basis. The graph shows the number of successful milkings for every hour of the day, based on the milkings in the last 7 days. So it gives an idea which hours robots would be available for more milkings. Contact your Lely Center to learn more.